For over half a century, NASA has been building, launching, and operating space missions where failure is not an option. NASA's track record of success is due in part to the standards and practices of the mission development cycle that emphasize extensive planning and project risk mitigation through advance design. Though space missions can span over a decade and dozens of subsystems, the principles that have produced mission success can also be used to improve outcomes of small-scale software development projects. Specifically heritage review, trade studies, success metrics, requirement development and their traceability to success, and critical review can be readily applied to mitigate project risks and ensure product delivery on schedule and budget. This talk summarizes how NASA flight projects are executed in the project and mission design phases, how these principles were applied in the development of Nanaya, a web app built in Django/Python/Postgres that uses mathematical modeling to predict the future of users' love and social lives, and the lessons that were learned in the process. 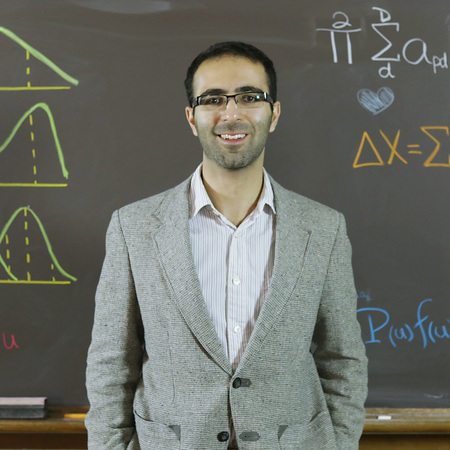 Rashied Amini is the Founder/CEO of Nanaya, a web app that uses mathematical modeling and big data to scientifically predict users' love and social lives. Rashied is also a NASA JPL systems engineer currently on leave as he completes his PhD in Physics at Washington University in St. Louis. At NASA JPL he was systems engineer of DINET, a flight project that was the first implementation of interplanetary internet, lead of mission analysis of NASA's nuclear power office, and principle investigator of numerous space mission architecture, technology, and planetary science studies. His dissertation at Washington University presents a new model of the high energy environment at small atmospheric depths.